Social media and the quality of online content is making visuals a currency we all deal in. As Jeff Bullas, 2018 Forbes Top 20 Influencer of Chief Marketing Officers, states “Photos are becoming the universal language”. Whilst this statement was made about consumers, it’s also applicable for marketers and researchers. Success measures on the delivery of content from these groups are directly impacted by how well they grab attention and tell a powerful story. Moreover, the absorption of a visual over text holds a lot more weight to marketing and research than just gaining attention. 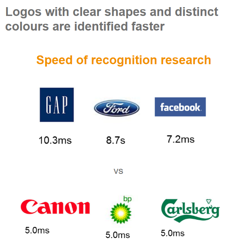 Visuals are processed 600,000 times faster than text, according to a 3M study. Seemingly this is an engaging technique, but it’s important to apply the right visuals to amplify the power they can have. Here are the key takeaways from three of our experiments. If you're interested in the complete research, watch the full webinar hosted by Jon Puleston and myself here.